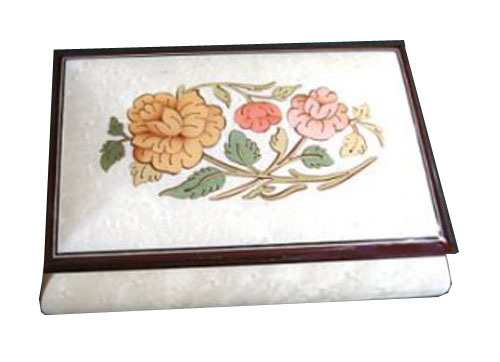 This lovely musical box features a lovely soft inlay of flowers upon its lid, a pink velvet lining with a small place for treasures and little brass feet. It will play your favorite tune that you may select from our tune list when you add to cart. It measures 6" x 4"